From Cameroon to the world, these are the five Cameroonian models living their best life on Africa’s biggest fashion runways. 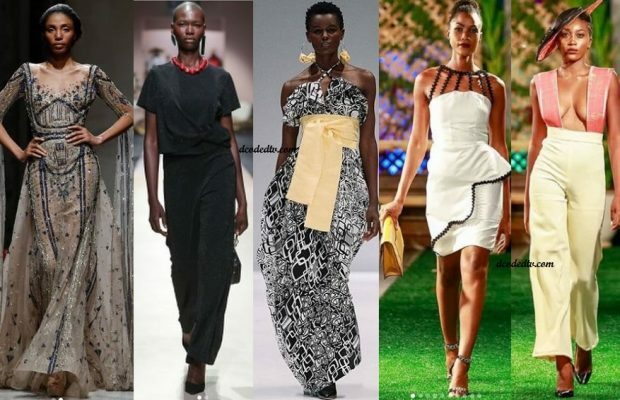 There’s no slowing down for Valerie Ayena, Marie Noelle Graobe, Foje Jencey, Adamma Bazil and Audrey Monkam as they are putting their best leg, hip, face and strut forward on the continents most popular runways. 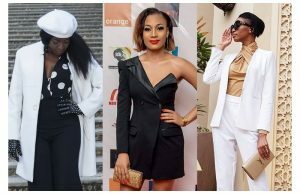 Of course, they aren’t the only models in or from Cameroon succeeding in the modelling business but these are the top five owning Africa’s fashion world right now! Winning Miss Cameroon 2013 was only a stepping stone to greatness for this 1,82m Cameroonian beauty. She has just announced she’s been signed to a top modeling agency in France called, City Models and is already doing big things. 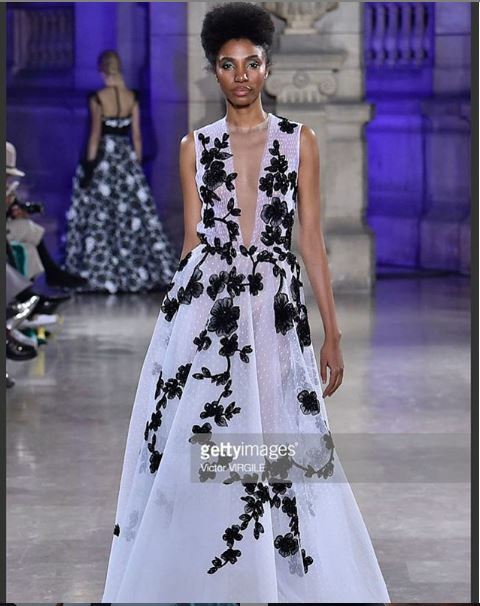 Back in January 2o19, Ayena walked the ‘Orion’ Ziad Nakad Spring Summer 2019 Couture Collection showcase in Paris. In February, she walked the Paris Fashion Week in Dany Atrache SS19 Collection. And then, in March, she was spotted on the runway in a Gyunel Couture ‘Villa of Wonders’ SS19 Collection at the /paris Fashion Week before gracing the cover of Amina Magazine April 2019 Issue. Talk about being book and busy! Undoubtedly, she is one of the biggest fashion model export from Cameroon. Ever since stepping out as the first runner up at the Cameroon Top model in 2016, this super dark skin beauty has suddenly become unstoppable working with brands like David Tlale, Mahone The Quiet Junkie, Rich Mnisi, TruWorths, Wanted Magazine USA, Imirage Magazine, Natal Media, Sunday Times SA amongst many others. 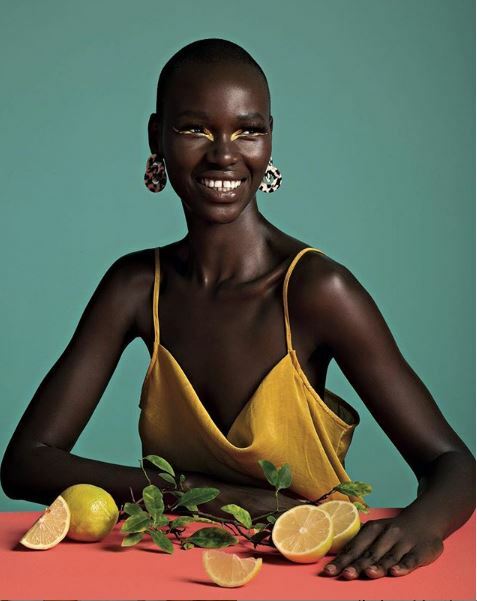 She was once affiliated to Fabulous Dot Com modeling agency in South Africa before joining the Blare Model Management in Barcelona – Spain in October 2018. Graobe graced the African Fashion International Fashion Week in Cape Town in 2018 and recently walked down the 2019 South Africa Fashion Week (SAFW) runways in the best of the best designer wears. She also just graced the pages of True Love Magazine. Amazing right? 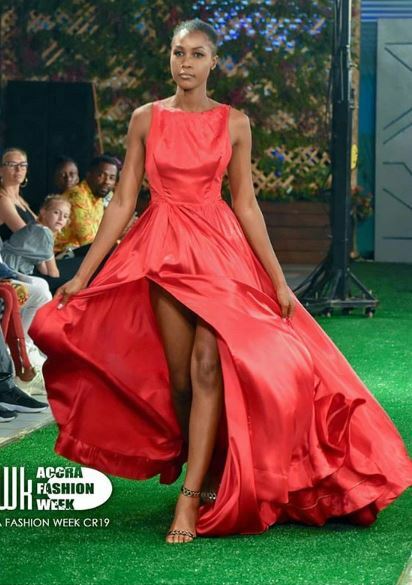 Also, a part of our list is the stunning Audrey who is currently busy shutting shows down one at a time at the 2019 Accra Fashion Week. 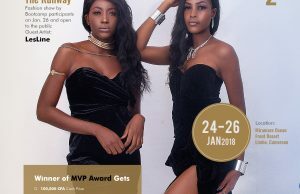 Lomzy Clothing, Signature Fashion House , Wait and See, JayRay Ghartey Fashionhauz are some of the designers she does have on her resume for the fashion week. Need more names? She already has the Miss Beach 2017 crown on her head! This Niki Heat model doesn’t seem to catch a break in her professional life. In 2019 alone, Adamma has played a major role in the organisation of the 237 Boot Camp Season II, she was a key player in the 2019 Miss FESTAC Pageantry in Limbe this March and also strutted the runway at the Accra Fashion Week 2019. As if that’s not even enough, she also launched her clothing line called, Print By Aurama at the 237 bootcamp in Limbe in February.